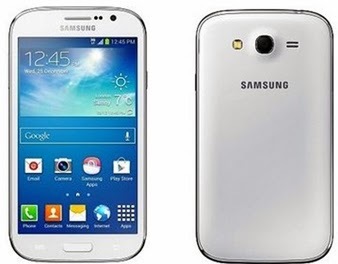 The Samsung Galaxy Grand Neo is available online ahead of its official launch by the company. The phone is listed at a price of Rs 18,299 on the website of a phone retailing firm. The phone comes with a warranty of 1 year and is said to be delivered at your doorstep in one -two days. The smartphone comes with a dual SIM option-Mini SIM and dual stand by. The phone has dimensions of 143.7 x 77.1 x 9.6 mm. It has a TFT capacitive touchscreen and sports. The phone with Android OS jelly bean OS has a quad-core 1.2 GHz Cortex-A7 processor. The smartphone sports sensors such as accelerometer, proximity and compass. The phone comes with a Li-Ion 2100 mAh battery with talk time up to 11 hours and music play of up to 38 hours. The phone sports a five mega pixel rear camera with features such as autofocus, LED flash and check quality. It also has a VGA (0.3-megapixel) front-facing camera. The phone comes with a 720p video recording capability. The Samsung Galaxy Grand Neo has memory options of 8 GB and 16 GB, which can be expanded up to 64 GB through microSD card.